In 2015, 59 Productions were approached by Historic Royal Palaces to design and build a two-room, immersive visitor experience which introduces the Baroque wing of Hampton Court, including the famous “King’s Apartments”, in an engaging and dynamic way. 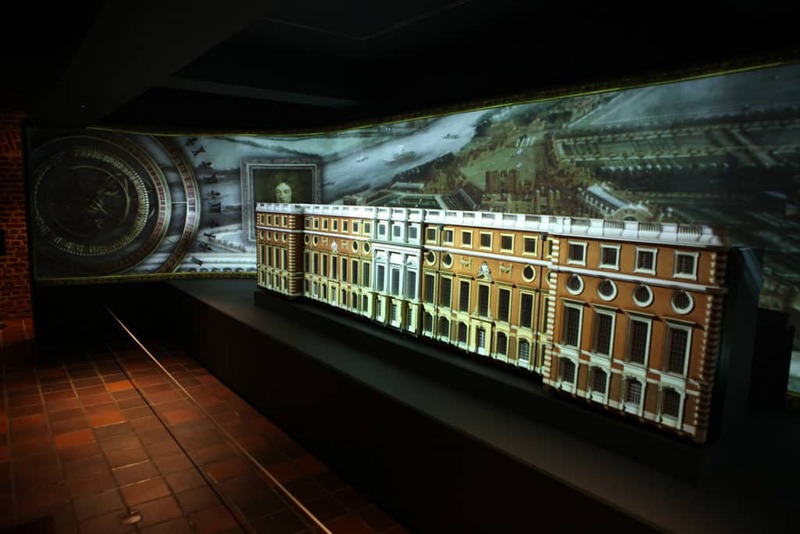 The team designed an immersive video installation across two rooms of the palace, which takes the audience on a journey from the conception of the Baroque palace by William III and Mary II, and architect-to-the-royals Christopher Wren, through the much-troubled building process to completion. The presentation then takes the audience inside the palace to see the convening of the first full court in 1700, giving a sense of the life and energy of the venue when in full swing. 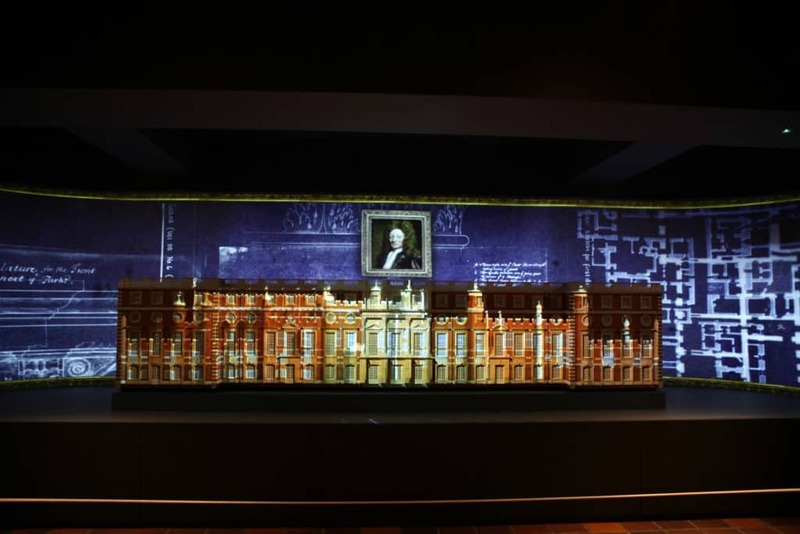 This 15 minute presentation utilises more than a dozen projectors and other display devices to deliver a dynamic and dramatic experience to visitors, including an original script by playwright Judith Adams, bespoke music from composer Paul Clarke, and animation and videomapping onto an animatronic model created by the 59 team. 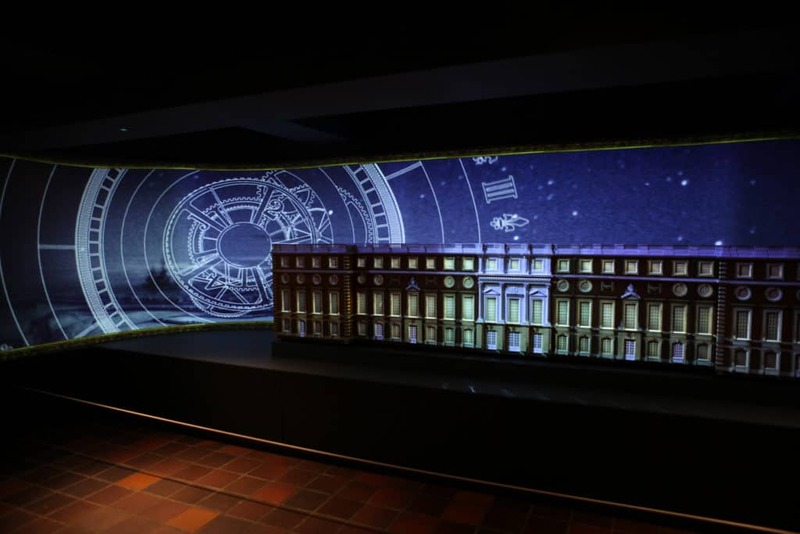 The main presentation is projected onto an 8m cyclorama, and is a continuously moving visual journey through the development of Hampton Court in the late 17th Century, using mainly original artworks from the period, re-imagined and re-composited into 3d environments. At the centre of the presentation is a 1:25 scale model of the Baroque south facade of the palace, onto which the various designs and phases of building development are meticulously videomapped. The entire production – both creative and technical – was conceived and delivered by 59 Productions, working with a core team of collaborators. The finished piece now forms a permanent exhibition at Hampton Court, and is accessible to all Palace visitors whenever the site is open to the public.